A lot of folks still don’t want to upgrade Microsoft Strikes Again - How to NOT Upgrade to Windows 10 Microsoft Strikes Again - How to NOT Upgrade to Windows 10 Windows 10 is now a recommended update on Windows 7 and 8.1 computers. If you're not yet ready to upgrade, it's time to double-check your Windows Update settings. We show you how. Read More , but if you ask me, there are a lot of small features in Windows 10 10 Little Known Features of Windows File Explorer 10 Little Known Features of Windows File Explorer Don’t let Windows File Explorer fool you with its plain looks. It’s capable of many more actions and tweaks than it lets on! Let us show you a bunch of them. Read More that make the upgrade worth it. 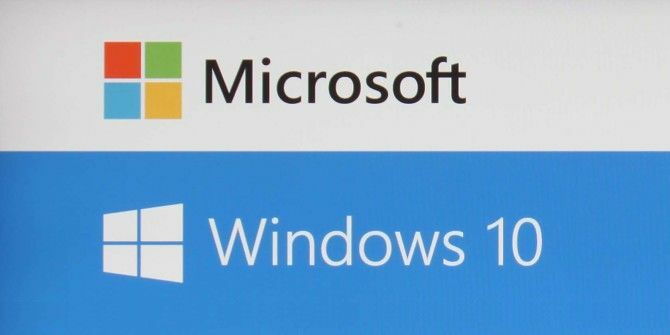 That’s in addition to the several big and compelling reasons 10 Compelling Reasons to Upgrade to Windows 10 10 Compelling Reasons to Upgrade to Windows 10 Windows 10 is coming on July 29. Is it worth upgrading for free? If you are looking forward to Cortana, state of the art gaming, or better support for hybrid devices - yes, definitely! And... Read More to hop aboard the Windows 10 train. One of the small features that I really love is inactive window scrolling. Just by hovering over any window, you can scroll your mousewheel 3 Mouse Scrollwheel Tricks to Improve Your Web Browsing 3 Mouse Scrollwheel Tricks to Improve Your Web Browsing These three mouse tricks will turn you into a web browsing pro. Read More and that window will scroll up and down even if you didn’t click on it first. This is really nice if you have a big monitor with a large resolution because you can work with multiple windows side-by-side with more ease. For example, with Excel on one side and Word on the other, you can type with Word in focus and scroll through Excel at the same time. And yes, if two windows are stacked, they will both scroll at the same time. What do you think of this feature? Is it handy or annoying? Tell us what you think in the comments below! Wow, a feature other window managers have been able to do since the 90's. This is true innovation at work. If you're not on Win 10 and still want this feature, there is an app called KatMouse that does the same thing. Been using it for years and love it. I'm constantly forgetting that is not a standard feature whenever I'm using someone else's computer. Personally I love it. When performing some long step-by-step process in one window, I can scroll the instructions up and down in the inactive one to make sure I don't miss anything.